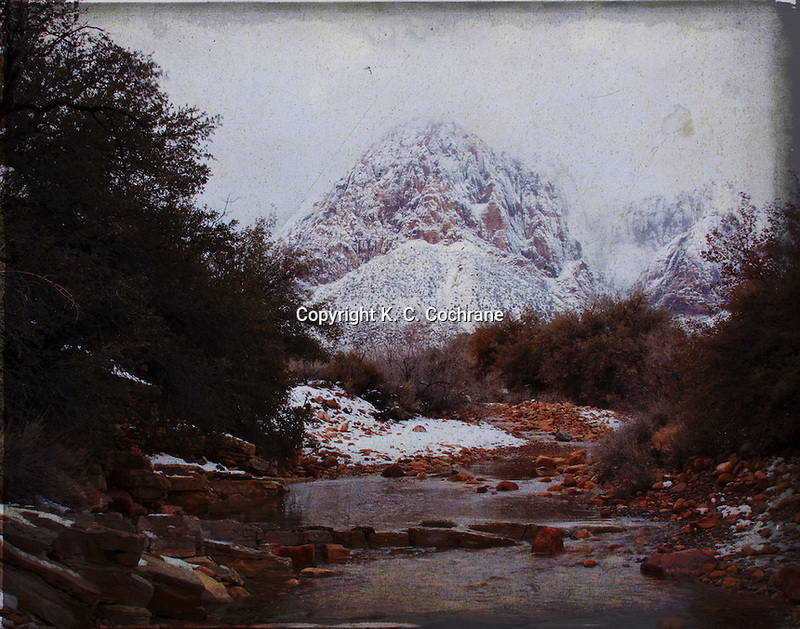 A special view of Red Rock in snow with a running wash shows the constantly changing desert environment. The unique geologic features, plants and animals of Red Rock Canyon NCA represent some of the best examples of the Mojave Desert. The Red Rock Canyon National Conservation Area [RRCNCA] is located west of Las Vegas, Nevada and encompasses 195,819 acres within the Mojave Desert. Color Archival Luster Print, 8" x 10" to 20" x 24"
Red Rock, Red Rock Las Vegas, Red Rock Canyon National Conservation Area, Desert, Desert Landscapes, Kim C. Cochrane.